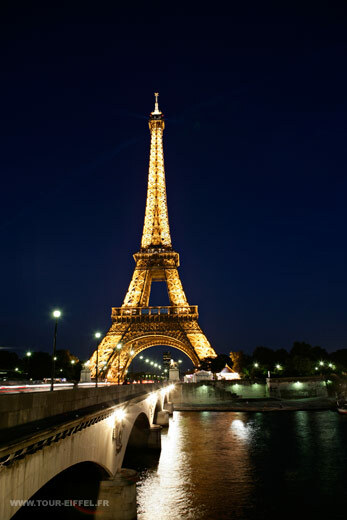 Are you Dreaming of France but finding yourself short of the francs you need to take you there? Ladies and Gentlemen, Mesdames et Messieurs, step right up and join my travel club and take a journey that won’t cost you a red hot centime. Because this is a trip you take in your mind. Okay, it’s not exactly there-there but if you can’t actually get to Paris or the Cote d’azur, it’s the next best thing. 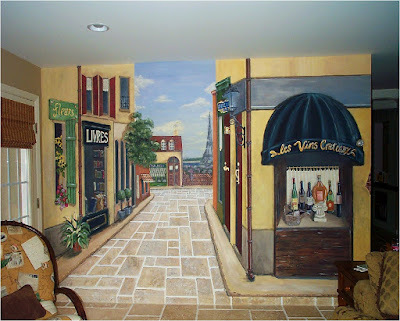 Pretend you live on a charming street near the Eiffel Tower with the simple application of this artistically incorrect mural. How do you say cheesy in french? 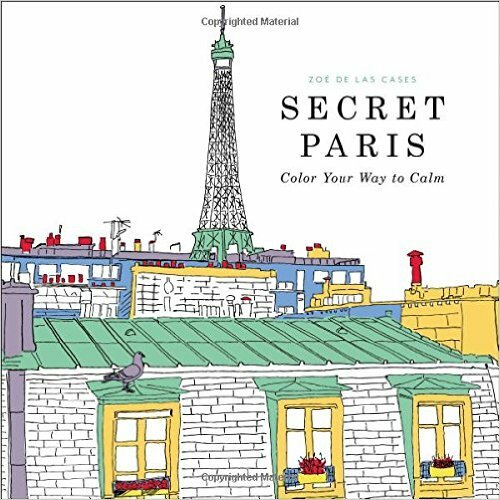 Or better yet, decorate your home with every Eiffel tower you can find —never mind most self-respecting French citizens would likely prefer to leave the tour Eiffel on the Champ de Mars where it belongs. Surround yourself with sounds that scream “I’m in France!” even if you’re actually in your living room. Edith Piaf, Charles Aznavour, the gorgeous Ne Me Quitte Pas by Jacques Brel. No sarcasm there, by the way, it’s lush. Recreate that feeling of walking down a Parisian street, arm in arm with your beau—let’s call it the Rue de Romantique—a red beret on your tete (his tete? 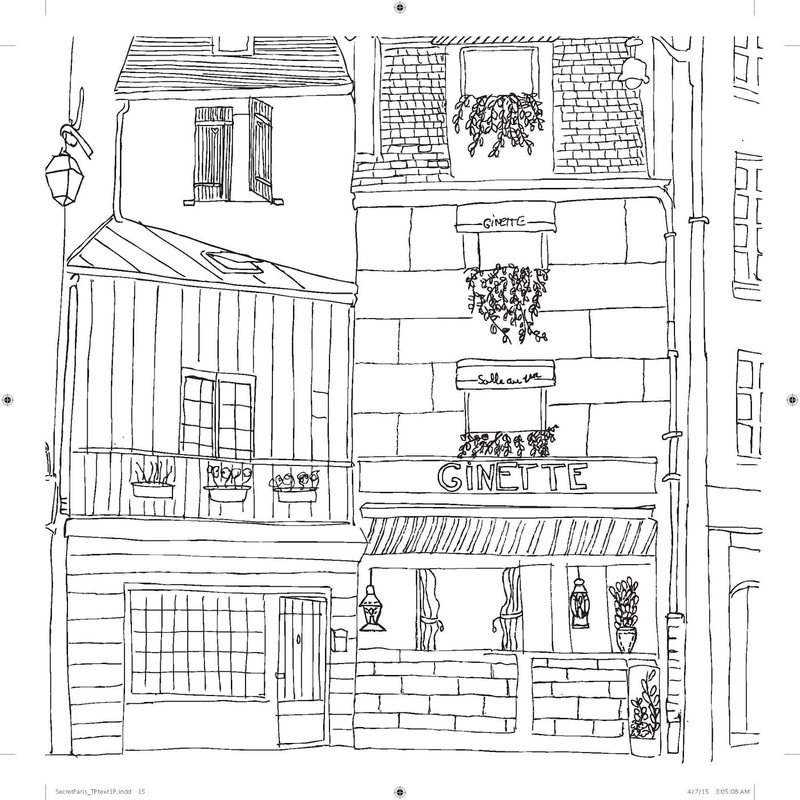 ), en route to a quaint little French cafe for cup of cafe au lait by playing this collection of French Cafe Music as part of your personal soundtrack. Never mind that the French have their own top forty hit list which sometimes actually includes French songs! Take a listen to this brand new chanson by Black M featuring Kevin Adams. Le Prince Aladin, a rap en français, is part of a new soundtrack for Les Nouvelles Aventures d’Aladin. Grab your trusty, crusty baguette, trying to keep your inner germaphobe at bay —who else has had their grubby hands on my loaf of bread? !—and spread on a little brie. Even the most petite town has, if not a French Epicerie, a grocery store where you can at least buy a wheel or two of brie. Have a sweet tooth? 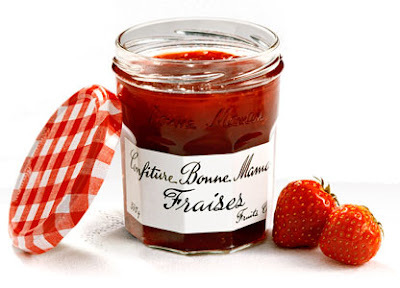 You can always ask the clerk for ‘confiture de fraise’ and if they look confused add ‘Ow do you say ‘strawberry jam’? And don’t forget to say Merci. Pull up Netflix and plug in ‘French movies’ and stream your own French film festival. 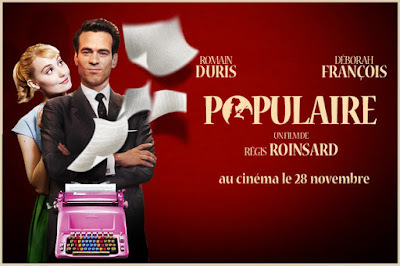 Everything from Populaire to Renoir to Blue is the Warmest Color, you’ll never again have to leave your boring old real life with its dreary, utterly lacking in charmant, streets. I can’t wait to get started on this page. It’s almost like the real thing, right? Right? Uh oh! Instead of staying calm and sating my appetite for France, my plan seems to be backfiring and I’m jonesing for a real trip instead. Hmmm. Looks like I can get a roundtrip ticket on Air France for a little over a thousand bucks. Sans champagne, of course. Maybe I should start putting some argent in this tour Eiffel savings bank? 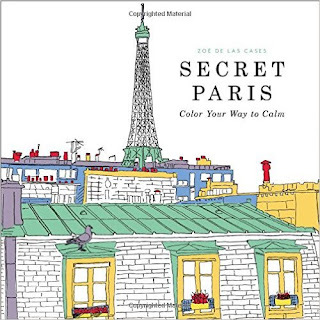 In the meantime, shall I color the mansard roof in Secret Paris, green or bleu? I’m definitely playing along with my friend Paulita’s Dreaming of France meme this week. Join us? If you liked this post please forward it to a friend or share it on social media. Thanks! Sim, I'm feeling full of French joie de vivre! Grace says she loves her French coloring book. The smell of slightly crispy toast always reminds me of France, maybe that's just our friends' houses in France. Keep saving your francs (Euros) and by next fall, Earl and I may have a place for you to stay when you buy that airline ticket to France. That would be most awesome, indeed! This is so much fun. I bought an adult colouring book the last time I was there. It is relaxing. Still love this post. 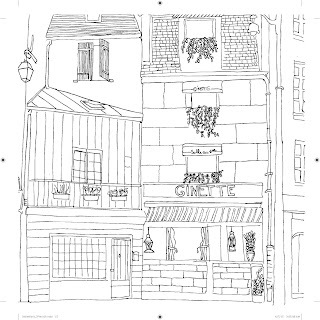 Another thing I try to do is live my life the way I would in France, slow it down, take time for cafes and coffee and wine and walks. I love that you do that, I try to do that here too, sans the cafes. I just don’t get out that much.